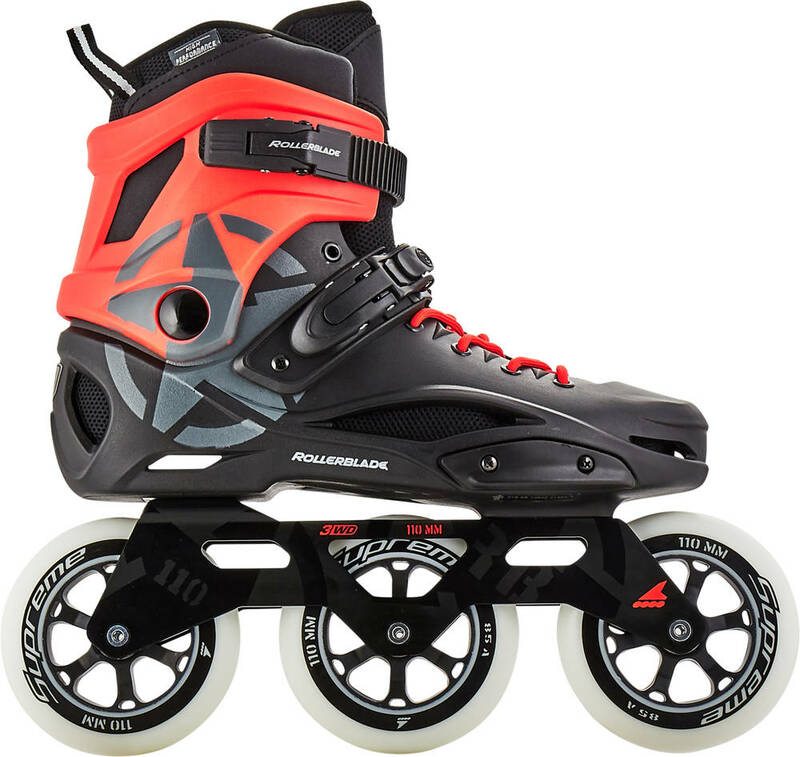 Fast, agile, fun and stiff boot freeskates from Rollerblade. 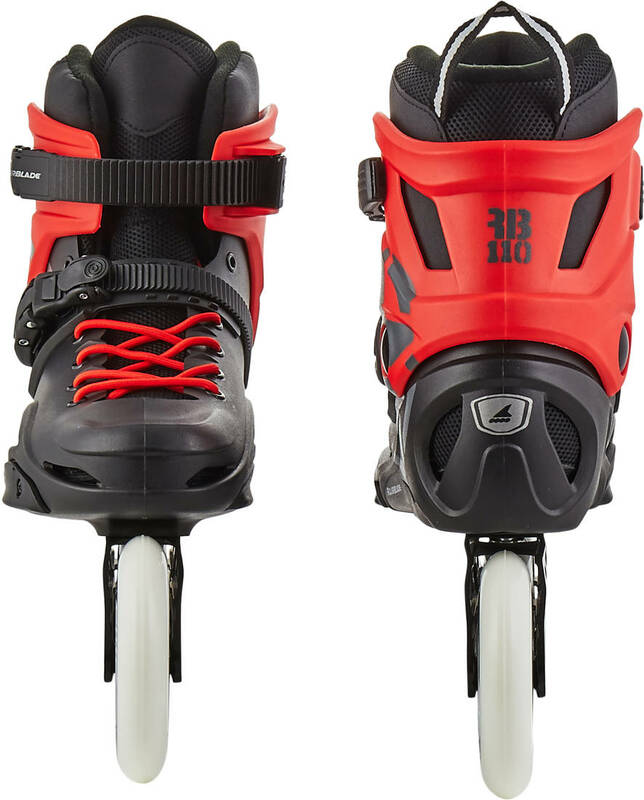 These RB skates come with large 110mm wheels with a 3 wheel setup. 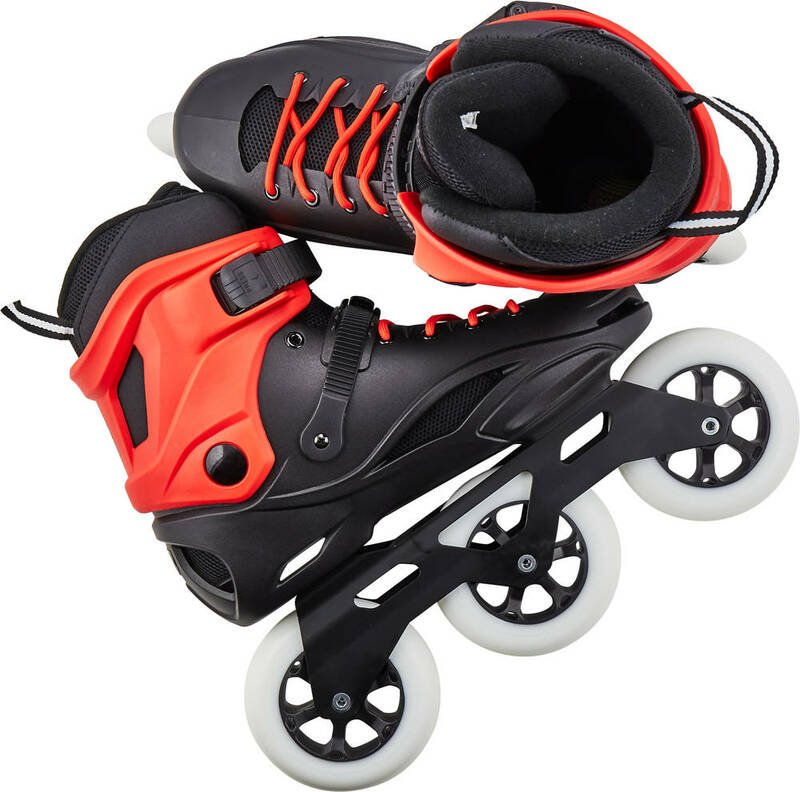 It is a sweet setup for high speed yet with really great agility for all your wheel dancing on the streets, rails, staircases, benches, curbs etc. Fairly soft 85A wheels for optimized grip and with rigid extruded alu-frame underscores the properties for street tricks and cruising and in combination with the stiff boots, you will get really good power transfer and control.